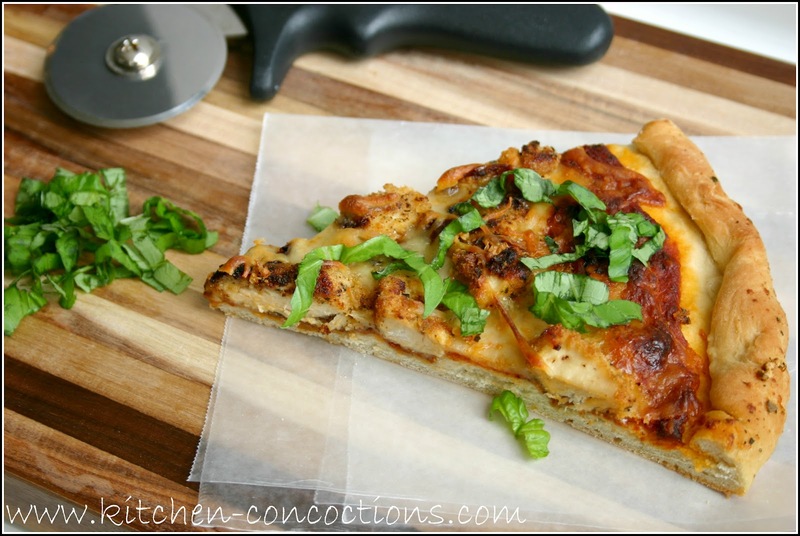 This is probably my favorite pizza recipe to date! We love chicken parmesan and we love pizza, and one night I thought to combine them (an idea I thought was totally my own until I just did a quick Google search 2.5 seconds ago to only sadly see, yet another one of my ‘original’ ideas is so not original). But this. This is my version. My dream. Made into a drool worthy reality! Every bite of this pizza had a juicy, tender, flavorful piece of breaded chicken, and a sweet, caramelized tomato and a complex sauce, all topped with tangy mozzarella and salty parmesan cheese. The recipe list and directions may seem lengthy and daunting, and yes there are quite a few ingredients and multiple steps to this recipe but everything from start to finish including dishes can be done in less than an hour because while one thing is cooking you are busy with another step. Multi-tasking is the name of the game baby! And really something this darn tasty couldn’t be possible without a smidgeon of work, right? Preheat oven to 400 degrees. Line baking sheet with parchment paper. Lay tomato slices on parchment paper and drizzle with 2 tablespoons olive oil and top with garlic, salt and pepper. Roast tomatoes for 15 minutes, or until slightly caramelized, watching carefully so they don’t burn. Once tomatoes are done, reduce oven temperature to 350 degrees. Meanwhile, cut chicken into bite sized pieces. In a bowl combine bread crumbs, 1/3 cup parmesan cheese and ½ tablespoon dried Italian seasoning. In another bowl spoon mayonnaise. Dip chicken pieces in mayonnaise and then dip in bread crumb mixture, making sure chicken is coated evenly. Set breaded chicken pieces aside and repeat with remaining chicken. Heat remaining oil in a large skillet over medium-high heat. Add breaded chicken pieces and sauté until golden brown and cooked through, about 2-4 minutes. 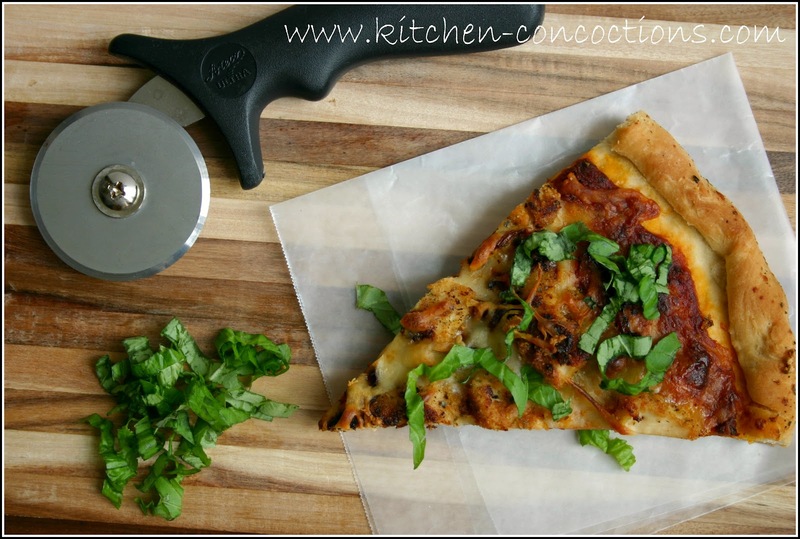 Roll out pizza dough and spread the pizza sauce over pizza dough. Top sauce with 1/3 cup parmesan cheese and 2/3 cup mozzarella cheese. Top cheese with tomatoes and cooked chicken pieces. Top tomatoes and chicken with remaining mozzarella. Combine melted butter, 2 tablespoons parmesan cheese and ½ tablespoon dried Italian seasoning. Brush butter mixture over formed crust. Bake pizza in 350 degree oven for 18-20 minutes or until crust is golden brown. Once cooked, serve pizza topped with fresh basil. 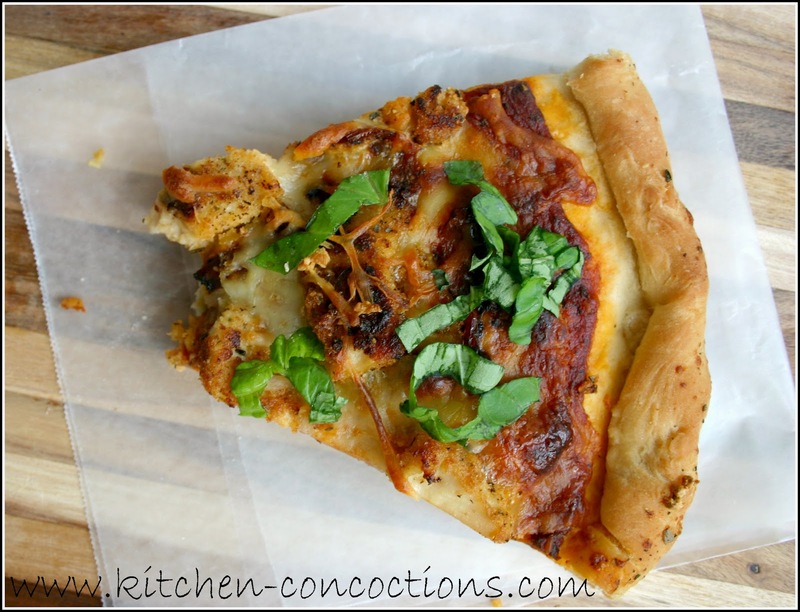 I am also a lover of pizza and chicken parm, so I'm sure I'd love this pizza!